May 24, 2017 20 Comments This post may contain affiliate links. 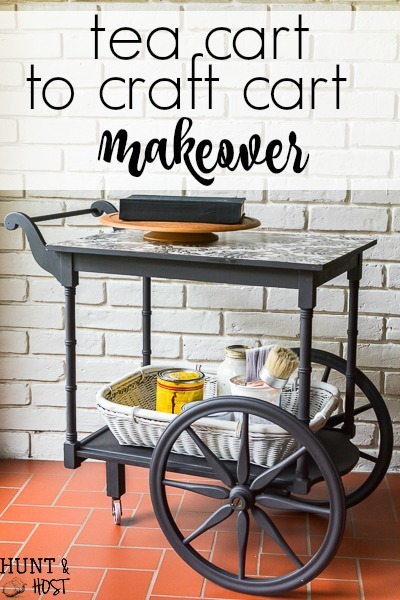 Tea Cart to Craft Cart Makeover! Tea holds a special place in my heart. My grandmother is a British war bride and a religious tea drinker. Which means my mom is too. Which means I am on occasion…it dilutes as the generations go, but I still love a great cup of tea! 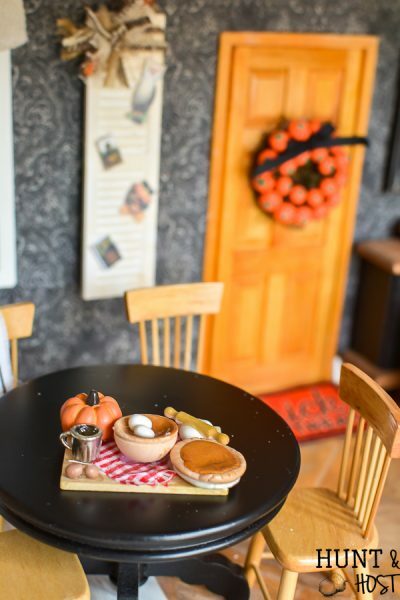 The memories of tea time at my Neena’s house will always be a favorite for me. 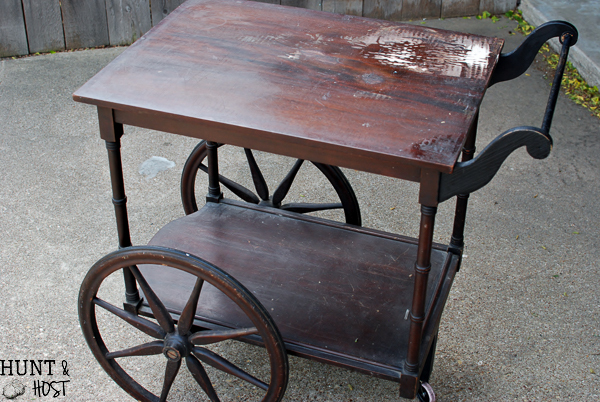 When I saw this beat up tea cart at a thrift store I had to have it. It cost $20 which is more than I usually pay for stuff, but it really wanted to come home with me. 😉 I guess it could sense my fondness for tea. This sad little cart got shoved in my laundry room and quickly got buried under piles of junk. It became my laundry detergent holder for the last year or so. Sticking out awkwardly the tea cart never really fit in the space I crammed it into. This was all after a failed DIY attempt at painting the top. It didn’t turn out how I planned – see everyone has DIY fails! It was time to come up with another solution. Necessity always plays a big part in my makeovers and this cart found it’s purpose on accident, like most of us do! When I’m working on projects it seems like I’m always gathering supplies from all over the house. Some stuff is kept in the laundry/craft room, some in a hall closet, some at my desk and other stuff outside. It’s usually more than my arms can hold and so I started rolling this cart behind me loading up my supplies as I went through the house to my work station for the day. 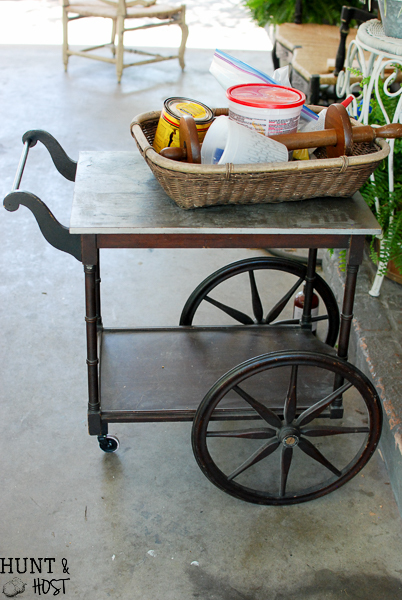 That’s when I decided my poor little tea cart had a second life as a craft cart. You guys, paint will do wonders. 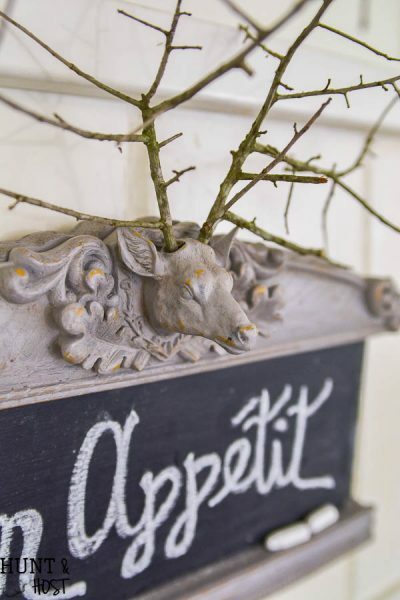 It gives fresh life to anything it touches! 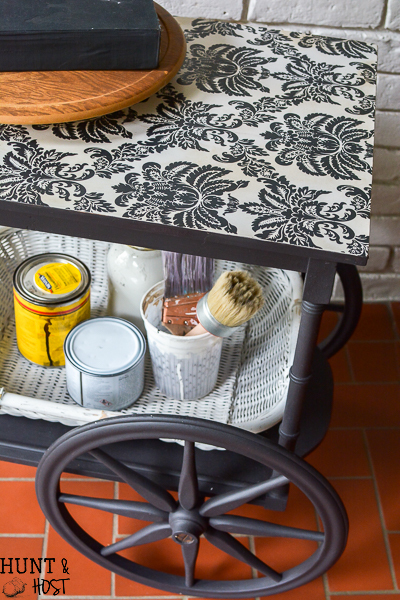 I mixed up some homemade chalky paint from left over flat acrylic house paint and gave a sleek black paint job to the cart. Next I used some self adhesive wall paper to cover the top. It was in bad shape, so I sanded it smooth before applying the paper. This particular wallpaper is from Lowe’s and you dip it in water to activate the glue. I trimmed a square slightly larger than the top, lined up one edge and laid it down. You want to smooth the paper, wiping away an excess glue that seeps out. While the paper was still a little wet I sanded the edges down to tear the paper perfectly to fit the top. After the paper dried I had to glue one corner down that didn’t stick well. It’s a tight race between hound’s-tooth and damask as my favorite patterns, I’m obviously a black and white, clear cut kind of girl! 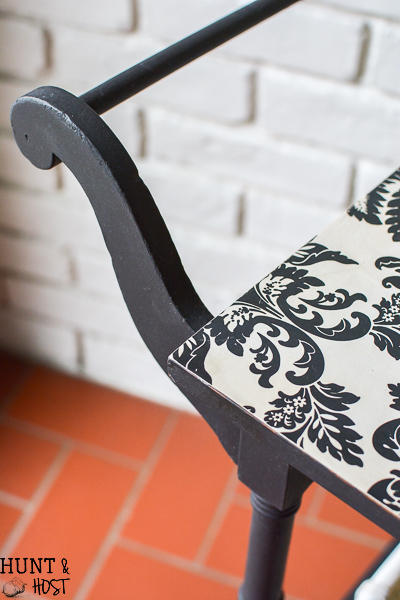 A coat of paste wax was used to cover the entire cart, including the wallpaper for an extra layer of protection. 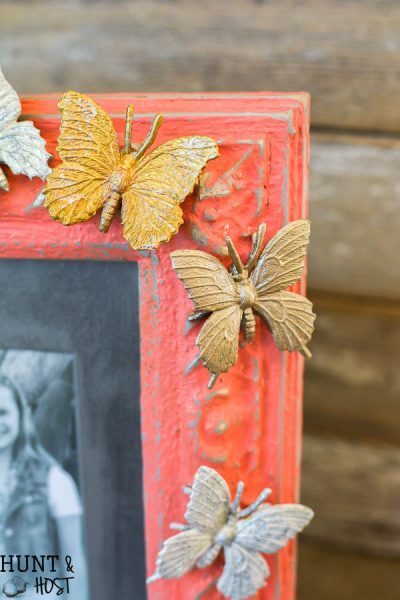 Oh that is so beautiful and what a fabulous idea. Thanks, it is so handy too! I love this entire project! 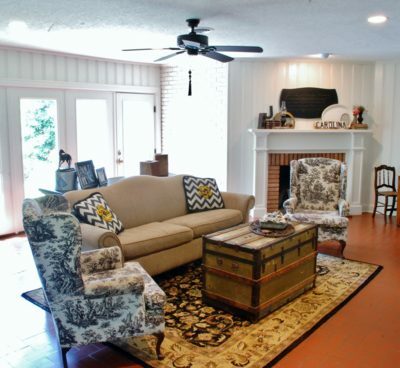 I love the use for the cart, I absolutely adore the paper you picked out, and I love the “tea time” aspect. My mother and grandmother , my children , and myself are all lovers of tea! What a wonderful use for this cart! Very creative. nothing is better than tea time right? Thank you Kristina! Beautiful cart. I love your choice of wallpaper too! 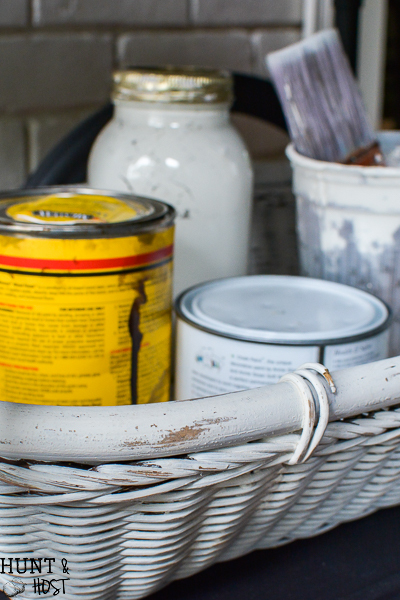 It reminded me that my mother has a cart very similar to yours on her front porch. I wonder if she would miss it? lol I could offer to fix it up for her. :0 Blessings! Thank you Marlene, it holds a lot of stuff too! 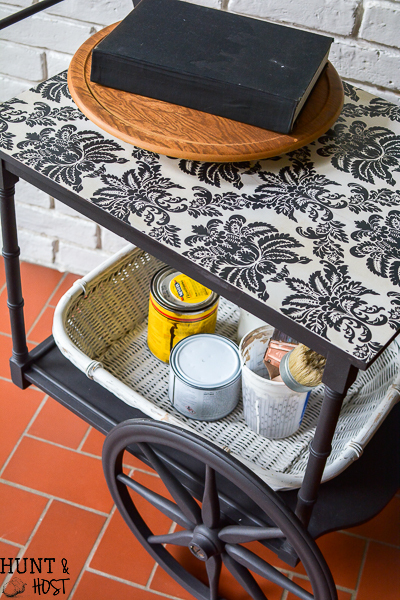 Your multi purpose cart is lovely with the black and white damask wallpaper. The large wheels are such a fun detail too. Would you share stories of your Warbride grandmother sometime, please??? I LOVE hearing stories from the 1940’s, they pull on my heartstrings!!! ???????????? I’ve been married to the love of my life a (retired US Navy) ⚓️Chief Petty Officer⚓️ for 22+ years now and love to hear stories of other military wives. 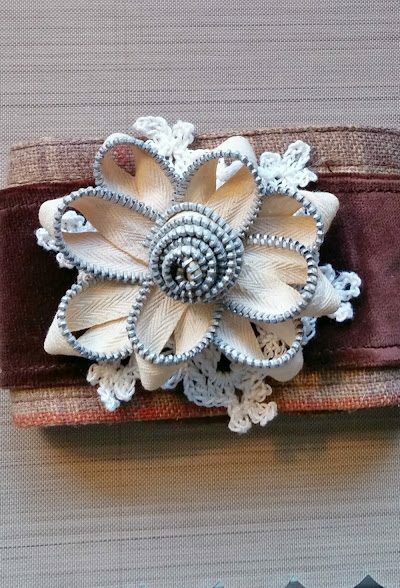 Kim, I’m sooo richly blessed to have found your blog recently, it has been a joy to read. ???????????? Thank you for sharing your faith, insights, and projects. ???????????? Hi Rena – So happy to have you hear, I talk about my grandmother now and then so you will definitely hear about her! Thank you for your kind words and blessings to you and your husband, what a sweet story you must have too! I want a tea cart. I love your project. You are amazing! You NEED a tea cart!!! !